Includes a trip to the U.S. Holocaust Memorial Museum in Washington, D.C. 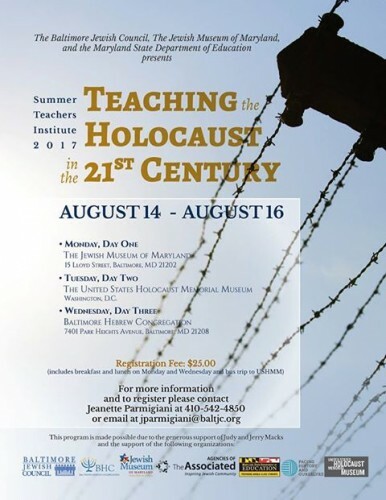 Please contact Ilene Dackman-Alon at 443-873-5178 or email STI@jewishmuseummd.org with questions. The Summer Teachers Institute is made possible by the generous support of Judy and Jerry Macks.